The force close apple watch app is one of the obvious suggestion and helps on save battery life and apple watch performance. Are you getting your apple watch app stuck at any time after launch app? Restart Apple device works but not for all time that looks like old fashion. So don’t restart each time for release or force close apple watch app. Or Go through below steps, in that you don’t need to restart watch again and again. Pretty impressive or commendable experience I noticed on my 38mm apple watch. Same way also works on Apple watch sports, Edition 38mm or 42mm. Unique accessory: Apple watch band/ Apple watch metal band. Lift your finger from side button, press again for close last opened or running app. That point app automatically closes forcefully. According to developers view watchOS doesn’t require for a close app running in background as we have experienced on iPhone, iPad and iPod Touch. Also, share your experience that you are using to boost your apple watch performance. Meg St_Clair, commenting on force close apple watch app discussion. We don’t need force close app running on Apple watch because iWatch is merely pulling information or data to apple watch screen. 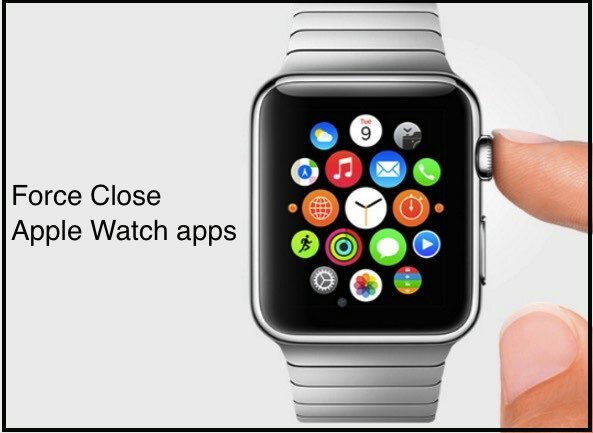 In the response many apple watch users agree with Meg’s think on close stuck apple watch app. Any further help about on force close apple watch app manually for release or free up the process if you fail from increase speed and performance over time or on your older apple watch. Thank you!